At a hearing on 31 August 2012, the question for the New South Wales Supreme Court was whether a handwritten document was the will of the deceased. It was believed that the deceased died in 2002 without a will. Letters of Administration were granted to the now NSW Trustee & Guardian to administer the estate. Two years after Letters of Administration were granted a handwritten document was located which appeared to express the testamentary wishes of the deceased despite not being a will in the usual sense. The document gave the deceased’s personal and real property to his sister but went on to indicate that he had a son out of wedlock and if he was found his sister could give him whatever she wished. The document was signed and dated by the deceased but was not witnessed. Whilst the document was not a valid will under New South Wales law, it was brought before a court in Athens and was found to have met the formal requirements of a will under Greek law. The deceased’s family did not know of any son of the deceased. Investigations were conducted in an attempt to locate the son but were unsuccessful. If the handwritten document was accepted as being a will then the estate would pass to the deceased’s sister. 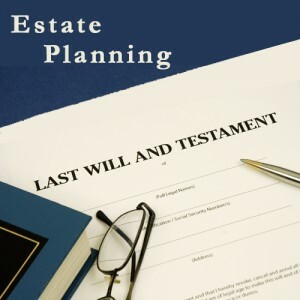 However if the handwritten document did not constitute a will then the laws of intestacy would apply and the deceased’s estate would pass to his son, if he had one. The application before the Court sought a declaration that the handwritten document constituted the will of the deceased. In determining whether the document was a will, the Court took into consideration the intentions of the deceased. The Court held that the document did constitute the will of the deceased as it was written by the deceased and was intended to be his will. Comment – Once again, this case reflects the importance of a having a properly drafted will that clearly identifies the beneficiaries. More importantly it demonstrates the importance of ensuring that family members or advisors are aware of the location of the will. Had the handwritten document been located immediately following the deceased’s death, considerable time and costs would have been avoided in making the applications to the court.